TOP Year 2023 . 6 Mins Walk to MRT . 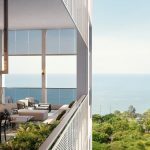 The Meyer Mansion condo is a new freehold high-rise residential development in District 15, offering unblocked panoramic views of the sea and CBD skyline. 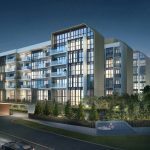 It is located in the East Coast of Singapore, 6 to 7 minutes walk to the Katong Park MRT station on the upcoming Thomson-East Coast Line. 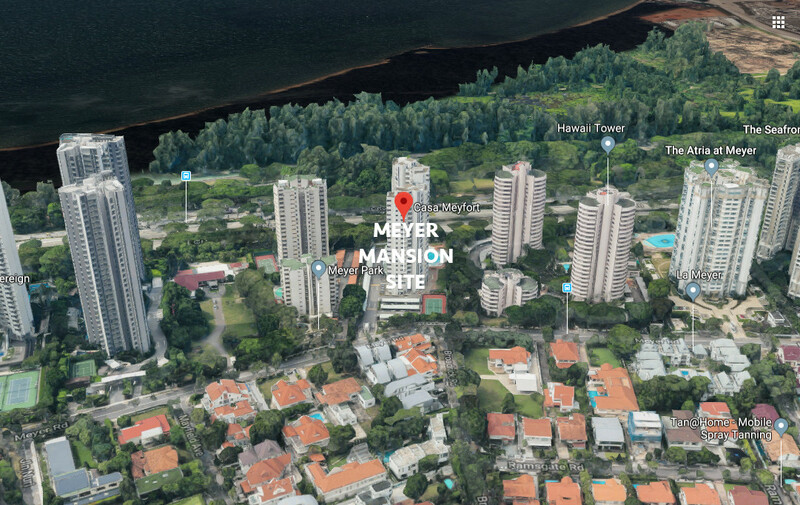 Meyer Mansion Singapore is being developed on the site of the former Casa Meyfort by First Meyer Development, a subsidiary of GuocoLand. This is along Meyer Road in the East Coast / Marine Parade area, an upscale residential district. Meyer Mansion will be a high-rise condominium flanked by similar developments on its east and west. To its south it faces East Coast Park and the sea. To the north, on the other side of Meyer Road is a sprawling low-rise landed housing estate that stretches for quite a way. Hence high floor residents get views of the sea, beach and city, while homes on the lower floors get greenery views overlooking landed houses and East Coast Park. Not many condominiums in Singapore offer this luxury of privacy and wide unblocked views. The other attraction of the Meyer Mansion condo is its respectable land size. Again, not many new freehold developments have a large enough land area to accommodate over 200 units and a full range of facilities. 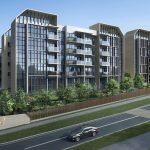 There is demand for such new apartments, especially from residents in the neighbourhood looking to buy, perhaps for their children, near their present homes. Meyer Mansion is poised to meet that demand. 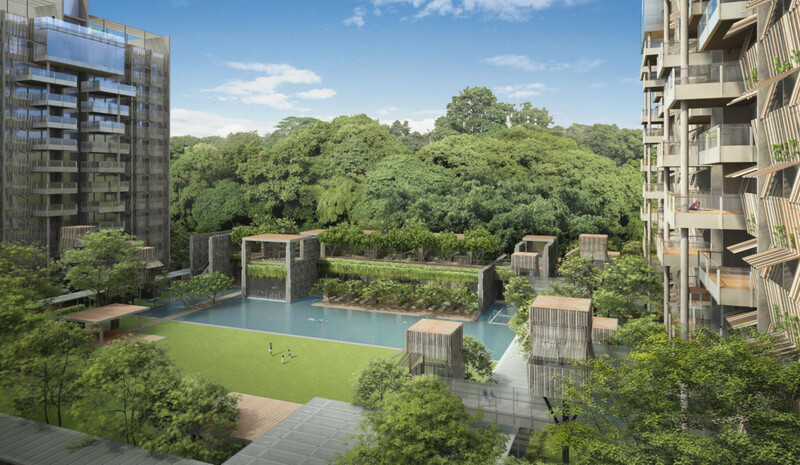 Besides being within the desirable Meyer Road area, it is about 460 metres or 6 to 7 minutes walk from Katong Park MRT station, that is slated to start operations in 2023. It is freehold, a diminishing commodity which is the preferred tenure for many people who live around there. 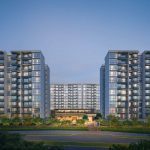 And it is being developed by GuocoLand, one of Singapore’s top local property developers, with a track record of delivering high-end quality homes. The East Coast of Singapore has for the longest time been ranked among the classiest and swankiest areas in which to live in Singapore. There are some good reasons for this. One has to do with the history of the town planning in colonial times. The zoning was such that this part of Singapore, stretching eastwards from the city centre, was where the rich and famous had homes and holiday houses by the sea. It was also notoriously where some of the affluent set up establishments for their mistresses. Back then, East Coast ranked on par with Bukit Timah. Another reason for the desirability of this suburb, is its convenience to the central business district. Meyer Mansion is on the city fringe, 10 minutes drive from Shenton Way, Raffles Place, and the new financial district of Marina Bay. It is within easy reach of Changi Airport as well, linked almost directly by an expressway. Added to that, of course, is the undeniable charm of the East Coast. It is not as re-built as most other parts of Singapore, still retaining many heritage shophouses and private landed housing estates, with few HDB flats around. This has given rise to a culture-rich ambience amidst its conserved shophouses and bustling food scene. But perhaps what makes the Meyer Road precinct so special, are the East Coast Park and Beach, and the sea on its doorstep, across the ECP (East Coast Parkway) expressway. Meyer Mansion fronts the beach and sea, only separated from it by the ECP. 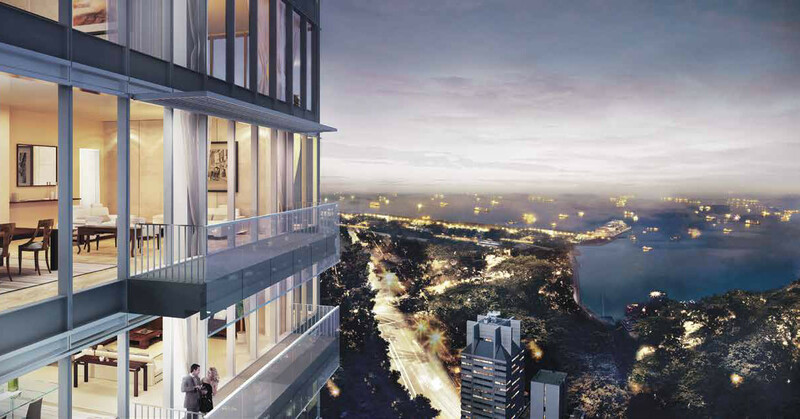 It is one of the condominiums lining the ECP with fully unobstructed sea views. The drawback is that these apartments get the traffic noise from the expressway, as there are no buildings in between. But that doesn’t stop them from being hugely popular, as they make up for it with the views. As well as the privacy that these afford. The Meyer Mansion floor plan layouts are still being finalised. Please drop us your contact details via the Form below if you would like the Meyer Mansion condo floor plans to be sent to you when ready. 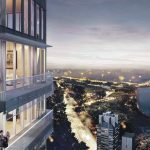 Meyer Mansion Singapore will be a high-rise condominium development within the exclusively private residential estate of Meyer Road. This is a rectangular shaped site, tilted in a slightly north-east / south-west direction. A row of similar high-rise condominiums lines this side of Meyer Road, while northwards across the road is the low-rise Mountbatten landed housing estate. The main entrance to the site is from Meyer Road on its northern boundary. The southern boundary of the site borders the ECP (East Coast Parkway), beyond which is East Coast Beach and Park. 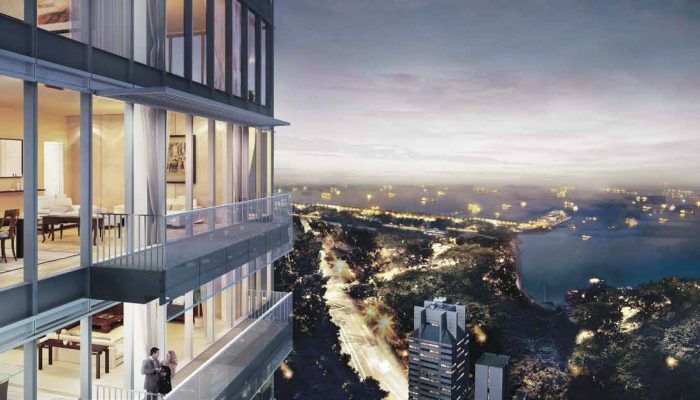 Hence higher-floor units facing south should enjoy unobstructed views of the beach, sea, and Marina Bay skyline. Those facing northwards will get unblocked views overlooking the landed housing estate. Plenty of light, wind flows and sea breezes here. The Meyer Mansion showflat is not ready for viewing yet. Please drop us your contact details via the Form below if you wish to be kept posted on the Meyer Mansion condo showflat opening. The Meyer Mansion condo prices have not been determined yet. Please let us know via the Contact Form if you wish to be kept posted on the indicative pricing. The site of Meyer Mansion Singapore was that of the former Casa Meyfort. First Meyer Development, a wholly owned subsidiary of GuocoLand Limited, bought it for SGD$319.88 million through a collective sale on 9 July 2018. On top of the purchase price, a development charge of about $57.2 million was payable as well. The Meyer Mansion site has a land area of 85,249 square feet. At the master plan plot ratio of 2.8, this equates to 238,697 square feet maximum gross floor area. Which works out to a land cost of $1,580 per sq ft per plot ratio (PSF PPR) inclusive of the development charge. After accounting for all construction and related development costs as well as overheads, marketing and financing, the break even cost to GuocoLand would be close to $2,200 PSF. This should allow GuocoLand to set the selling price quite competitively, given that resale prices of existing homes in District 15 have gone up significantly in the last couple of years. As a benchmark along the same road, One Meyer has indicated it will launch at between $2,400 to $2,700 PSF. 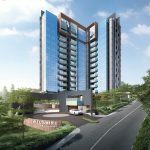 Meyer Mansion Singapore is being developed by GuocoLand Limited, part of the Hong Leong Group, and one of Singapore’s most reputable and top real estate developers. Headquartered in Singapore, GuocoLand Limited (“GuocoLand”) has been listed on the SGX since 1978. It is a regional real estate company with projects in Singapore, Malaysia, China and Vietnam. In 2017, it ventured into Australia and the UK through a partnership with Eco World Development Group Berhad. The primary business focus of GuocoLand and its subsidiaries are real estate management, development, and investment, as well as hotel operations. Their property portfolio embraces hospitality, residential, commercial and integrated developments, locally and in the region. Just in Singapore alone, the Group is responsible for over 35 developments that have added 10,000 homes to the local housing stock. GuocoLand is especially known for its flagship Tanjong Pagar Centre, a mixed-use development that encompasses lifestyle retail and F&B space with luxury apartments at Wallich Residence, Grade A office at Guoco Tower, the 5-star hotel Sofitel Singapore City Centre, and a landscaped urban park. 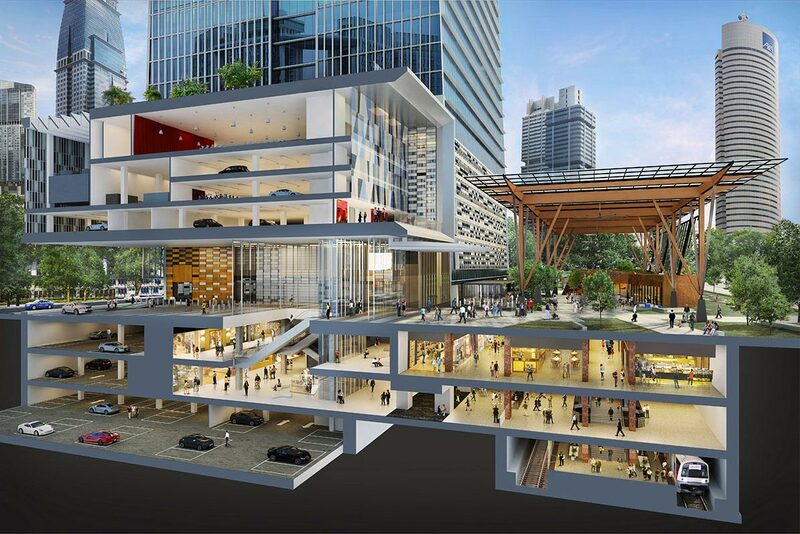 The Group has also undertaken prime commercial projects and integrated developments, and even townships in Malaysia. In addition, it has built a large portfolio of properties across major China cities like Shanghai, Beijing, Tianjin and Nanjing. GuocoLand is known for its emphasis on eco-friendly projects. Several of its projects have been conferred environmental sustainability awards like the BCA Green Mark Award. These include Leedon Residence, Goodwood Residence, Wallich Residence, Elliot at East Coast, The Quartz, Sophia Residence, Sims Urban Oasis, and The Waterline. GuocoLand has also garnered other accolades and awards in Singapore and internationally, for the quality of their work. Such as the FIABCI Property Awards, BCI Asia Awards, International Property Awards, and South East Asia Property Awards. Location. 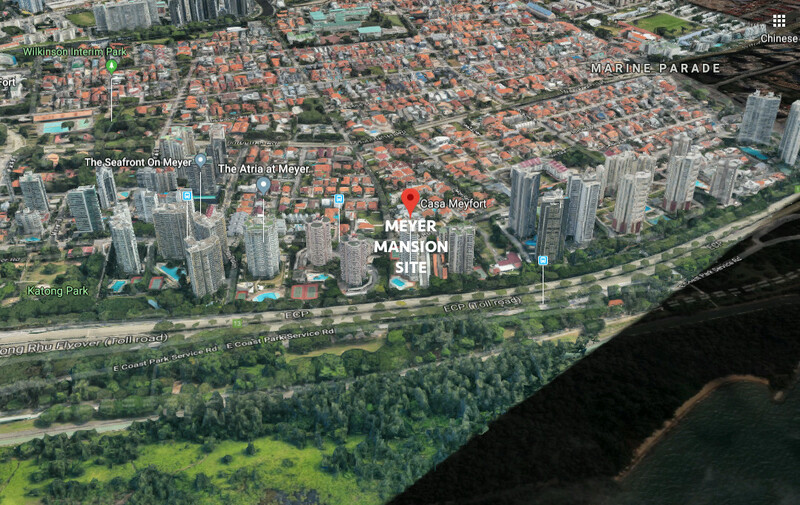 The Meyer Mansion location is at Meyer Road in the Katong / East Coast area. This is an almost exclusively private residential neighbourhood, an affluent suburb that ranks just after the prime Orchard Road / River Valley / Bukit Timah areas. 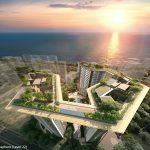 It fronts East Coast Parkway (ECP), directly facing East Coast Park and Beach, and hence enjoys wide unobstructed sea views. Shops, Dining, Supermarkets, Banks. Parkway Parade is where East Coast residents converge for their main shopping needs. There are other smaller shopping options nearby as well such as I12, but Parkway Parade is where one can find almost anything in one place. It has evolved to offer a wide selection of shops in addition to a department store, fast food outlets, cafes, restaurants, two supermarkets, a food court and cinema, and branches of almost every major retail bank. 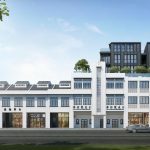 Though it is not within walking distance of the Meyer Mansion location, it will be connected to the Marine Parade MRT station that is 2 stops from Katong Park MRT station. And of course, the Katong / Joo Chiat / Siglap area is justly famous for its many food haunts. There is a huge variety of choices to be found, tucked in nooks and corners and lining the lanes around, ranging from casual street fare to hawker favourites, eclectic to cosmopolitan and fusion. Schools & Academic Institutions. Primary schools within a 2 km radius include Kong Hwa Primary and Tanjong Katong Primary. Other academic institutions in the area are Tao Nan Primary, Victoria Junior College, Chung Cheng High School and Dunman High. And the Canadian International School (Tanjong Katong Campus) as well as Chatsworth International School (East Campus). Recreation & Sports. The special draw of homes fronting the ECP is that they are within comfortable walking distance of East Coast Park. Along with that we have the beach and lagoon, and the cycling path and park connector that runs all the way past Kallang, to Marina Bay and Gardens by the Bay. There is an underpass near the Meyer Mansion condo location, that makes it easy to get to the beach. Nearest MRT Station. 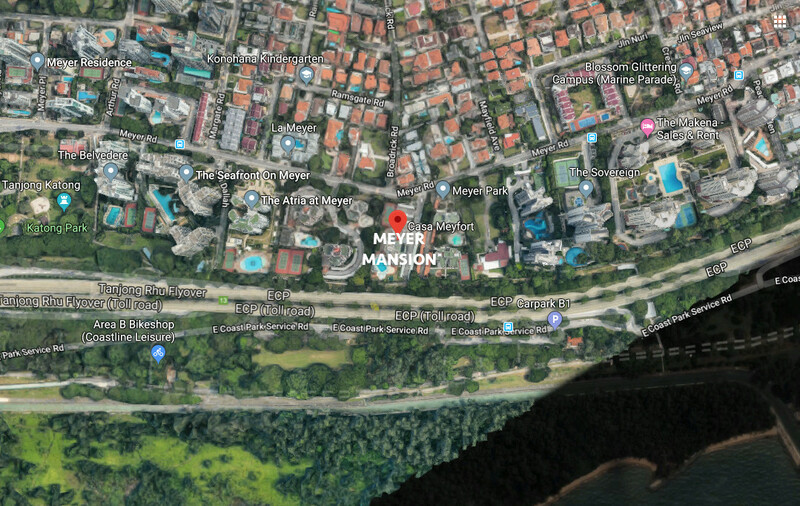 The Meyer Mansion condo location is about 460m, or 7 minutes walk, to the upcoming Katong Park MRT station on the Thomson East Coast Line, that is due to start operations in 2023. Accessibility. One reason for the attraction of East Coast homes is how close they are to the CBD. The Meyer Mansion location is less than 3 minutes drive to the ECP via Fort Road. From there you can get onto the KPE (Kallang Paya Lebar Expressway) and MCE (Marina Coastal Expressway) within less than 5 minutes. It takes roughly 10 to 15 minutes to get to the Marina Bay and Raffles Place Business Districts via the MCE. Those who travel often also find this a very convenient spot to Changi International Airport. This estate is generally well served by major roads and expressways.